So you’re thinking about a kitchen remodel and redoing your cabinets? First, congratulations, new or refinished cabinets can make a world of difference in your kitchen. As you are going through the process you may be wondering to yourself what other kitchen projects are worth investing in, specifically, countertops. While you are redoing your cabinets, it may be a great idea to update your countertops as well to come out with a complete and finished look. Here are our top 5 reasons to update countertops if you’re redoing your cabinets. If you’re looking for a reason to update your countertops, then adding value to your home is a great place to start. Kitchens are one of the biggest selling points of a home. It’s the place that many people spend the majority of their time. If you are already replacing your cabinets, which is often the most expensive part of renovating a kitchen, it would benefit you to replace your countertops as well. Not only will doing so add value to the property, but it improves your contentment with the space overall. By updating the countertops with popular materials like granite or natural tile you could add immense amounts of appeal to your home. Imagine buying a home with new cabinets but outdated counters and vanities. Would you buy a couch with new upholstery everywhere but the seat? Yea, it’s kind of like that..
Outside of the fact that countertops add value to your home, they also look great. When you’re remodeling your kitchen and redoing cabinets, your kitchen will have a brand new look and feel. Like our example of the couch, it would look silly to have updated cabinetry and old countertops. Not only will you notice every day as the homeowner, your guests will too. Upgraded counters can completely change the vibe of your kitchen and there are a variety of choices as well as price points. The countertops set the tone of the room and can compliment the space, or ruin it. By picking a countertop that fits your budget and compliments your style, the entire kitchen aesthetic can be improved. And since you’re spending so much time in the kitchen, don’t you want it to look good? Replacing damaged countertops is probably the most obvious of reasons to update countertops. From scratches, to burns, to general wear and tear, older countertops are prone to damage. This means your old countertops are not providing you with a durable space to use for cooking, cleaning, and daily activities in the kitchen. Functionality is crucial to your kitchen to make it a comfortable place for you and your family to utilize, and replacing your countertops makes this possible. 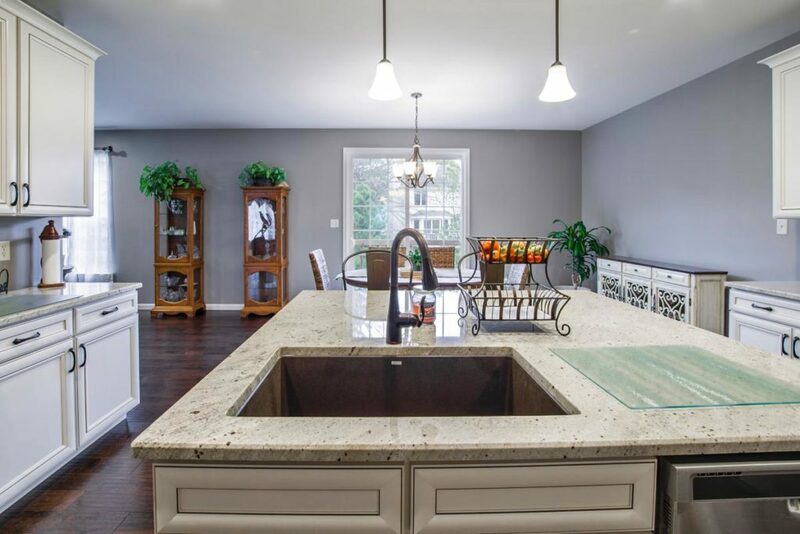 Since it is difficult to replace small portions of damaged counters, it is best to fully replace damaged countertops with durable, kitchen-friendly material or refinish your countertops if they’re already made from a durable material. Renovating your kitchen in phases may seem financially beneficial, but it will cost you a lot more money over time. If your budget is too small to get it all done, then it’s not going to kill you to wait. 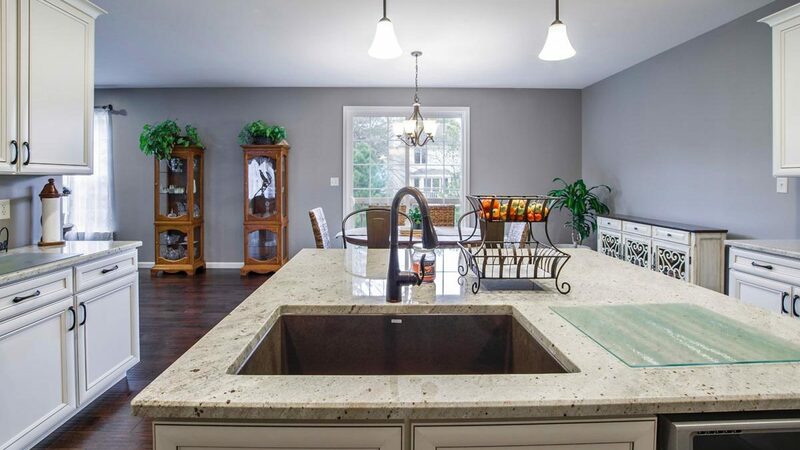 As mentioned above, old and outdated countertops can be prone to both damage and scratches, whereas modern day styles and materials are not as easily damaged. Scratches and crevices provide bacteria with a nice place to hide. Aside from health concerns, quality countertops keep you from scrubbing. By replacing damaged countertops, not only do you get a much better look, but you get the opportunity to choose a sturdier, modernized material that is better suited to your everyday needs. Newer countertops are also easier to clean and maintain, so the kitchen will always look spotless. You’ll more than likely start inviting more people over so they can see for themselves. The final reason to replace your countertops when you redo your cabinets is for longevity. New countertop materials such as granite and quartz are incredibly durable, and stand up to the wear and tear of everyday life. These countertops can also be refinished, so as they start looking dull you don’t have to completely replace them again, you can just refinish them. Quality surfaces provide homeowners with a peace of mind and a kitchen they’re proud of while eliminating a number of concerns. By updating your countertops, you’ll be able to love and enjoy them for years to come.